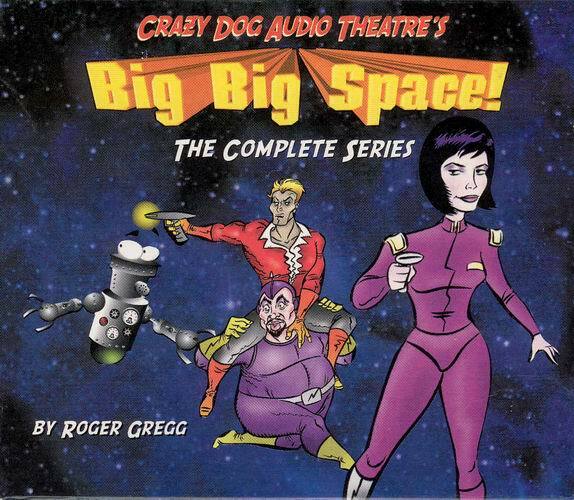 Included in this 3 CD set are three hilarious one-hour audio dramas in 6 episodes – The Cabaret of Forbidden Celestial Delights, Big Jim Chancer and the Space Pirates, and The Zombies of Dr. Krell. The shows were originally broadcast on Ireland’s RTE Radio 1. The cast of characters includes the crew of the starship Amadan: Captain Roslyn Sane, First Officer Hoax Minstrel, Counselor Disco Trojan, and Robot RomManDroid. The scripts have a lot of fun at the expense of the genre, and at the mainstays of Star Trek especially. Captain Roslyn Sane sounds and acts much like Trek’s Captain Janeway, and David Murray is brilliant as First Officer Hoax Minstrel – I swear he’s performing the part as “William Shatner as Captain Kirk” with hilarious results. The crew experiences adventures, dealing with teenage fractal quarks, evil accountants, and demanding extras, and poking witty, merciless fun at science fiction along the way. All three shows were recorded live – live cast, live music, live effects, and live audience – which harkens back to the golden age of radio comedy. The shows are thoroughly entertaining and very funny. The live audience obviously enjoyed themselves, and so did I.
Don’t take my word for it! 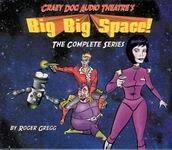 Listen to one of the episodes (“Who’s Afraid of Rotwang Krell”) at the Crazy Dog website. The set is also available from ZBS.